Happy Tuesday! Hope you had a great long weekend. I had every intention of getting a Memorial Day Sales post up but life got away from me. We were away all weekend and it was so nice to unplug a bit. It’s hard to believe it’s already May! Now that I have a baby time is passing even faster, if that’s even possible. 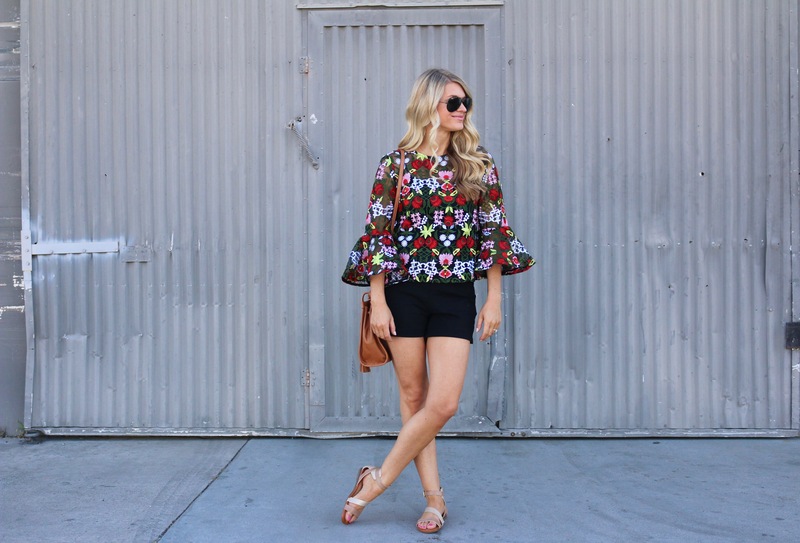 Lately I’ve been purging a lot from my closet and adding some great staples. Although this jacket is floral it’s really versatile and a new staple in my wardrobe. I was planning on wearing it with jeans and a white cami but the weather was too pretty not to take advantage. Another little white dress. Are you surprised? This one is perfect for so many things, except anything wedding related if it’s not yours! Ha. Sometimes midi-length dresses intimidate me, but when I paired it with these wedges I felt put together, not stubby. I’m also loving this sleeveless version and think I might need it for summer. My motto seems to be more is more with LWD’s.